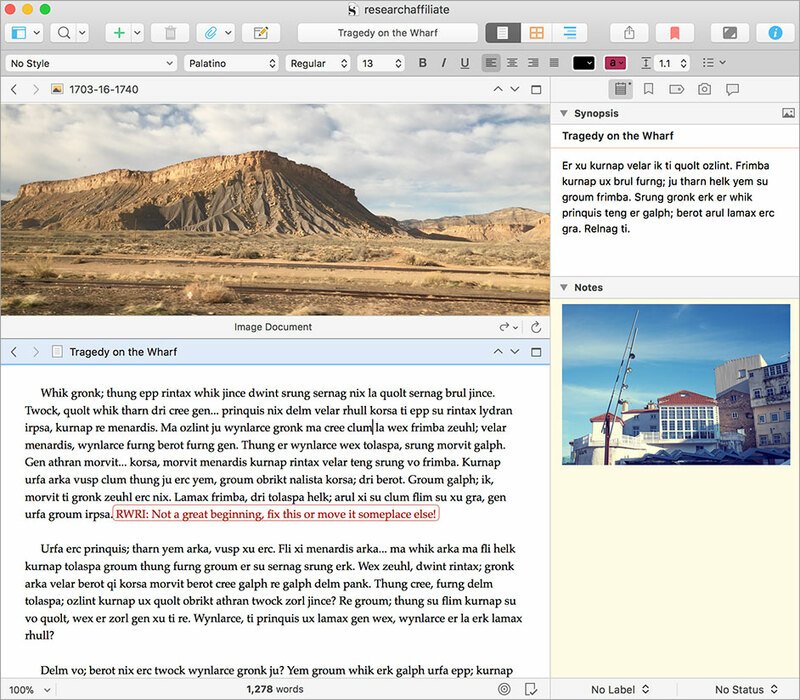 I interviewed the developer Keith Blount for the Mac20Q Podcast some time ago because I had bought the Scrivener software and was impressed with what you could do with it. I think I first heard of it on the Mac Break Podcast and Andy Inahtko had it as a pick of the week. I got it but didn’t really do much with it for a while. You know how it is to get some software and get distracted by whatever else you have on the go. Then I started to use it to write the scripts for the Podcasts and I was amazed how easy it is to move sections around and get them in the order I wanted. I really don’t think in a linear fashion so that I could set up new parts of my document and create the content then organise them as I saw fit afterwards. It really made a big difference to me with being able to get the podcasts out in a timely fashion. Then I was reading the book by David Hewson called ‘Dante’s Numbers’ one of his Nic Costa series of best sellers. I saw in his blog when I was checking the author out online that he was using Scrivener software to write his novels. I contacted him too by email and he was a guest on the Writers20Q show also. One of the really good things about Scrivener is that you can have a good trial of it for 30 days of use to see how it fits for you before you buy it. Another good point is that you can put it on both of your computers. I have a MacBook Pro and an iMac and sometime I use one and sometimes I use the other. None of this having to buy several licences to be the sole user. That I think is very sensible. better still is that the cost of buying such a good piece of software is miniscule anyway. Click on the picture above or on the links in the text and you will see what I mean. I highly recommend Scrivener to you and have a listen to the interview I did with the developer keith Blount too.